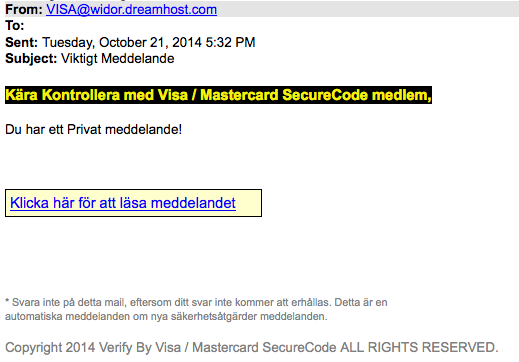 The phishing campaign was running on the compromised website on 21 October 2014. 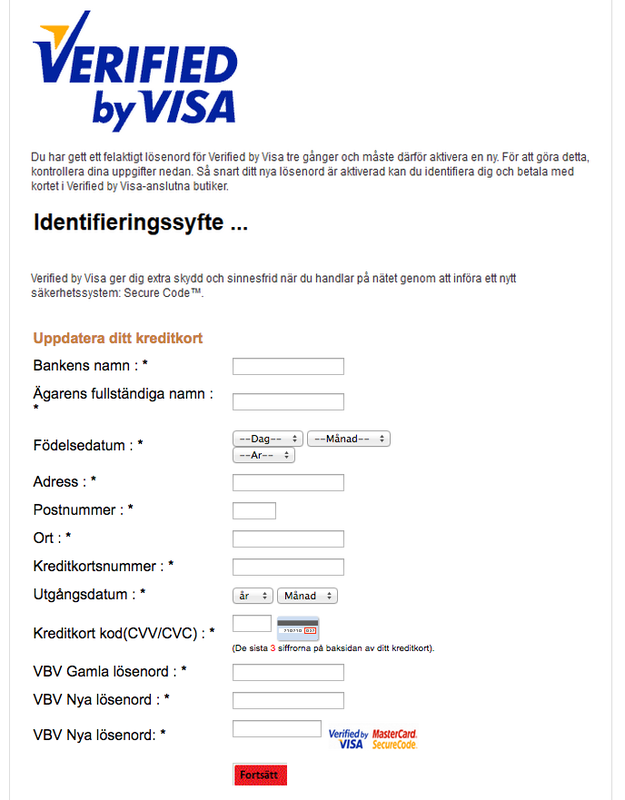 However, the phishing kit is a lot older as the snapshot PNG image files indicate. The phishing website tried to steal credit card details of users who clicked on the spoof email that appeared to come from VISA. Security-conscious people who detect such fraudulent e-mails often report these to anti-phishing vendors. Eventually, the e-mail and possibly the phishing URL is blocked by spam and web filters. This foreign IP address belongs to FiberHub. It may be that the server of this IP address is compromised as well. Back to the DNS entry. The attacker can now use any random sub-domain for the spam campaign. To clean up this phishing website, we had to at least inform the DNS zone operator but it’s also a good idea to get in touch with the abuse contact at FiberHub to remove the phishing kit. Another interesting fact about the Swiss domain was that we had already received a phishing report about this domain name a few weeks earlier. At that time it was targeting American Express and the phishing site was hosted on the domain itself. This shows that if you don’t change all your hosting passwords (FTP, Web, DNS), update your website’s software, and remove potentially malicious files from the web server, the attacker may still be able to control your site. We have been keeping statistics on the Malware Domain process for .ch/.li since 2010. Our data shows that roughly 15% of compromised websites are subsequently re-compromised. However, less than 3% get compromised more than twice. I guess we’ll worth Reading it.